Are Different! You and your family deserve the BEST Absorption Possible! where you otherwise would need water. Each 30 day supply tastes so good you don't hesitate spraying them twice daily, for added protection! you’ll never go back to pills, powders or drink mixes ever again. 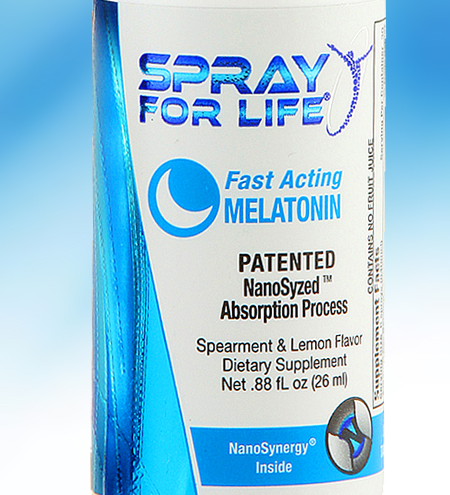 All Spray For Life products are made in the USA and manufactured under conditions that comply with cGMP. enforced by the US Food and Drug Administration (FDA). 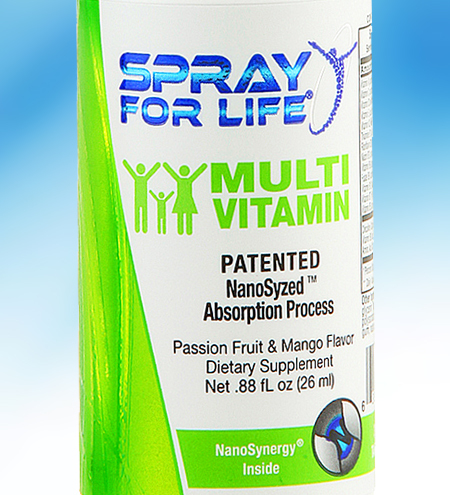 All Spray For Life® supplements offer optimum health & nutritional benefits backed by our proprietary state-of-the-art technology. Our NanoMist® sprays are packaged in convenient pre-metered, non-aerosol containers that easily fit in your purse or pocket. It’s so simple to use our products. Simply spray these fast absorbed supplements in the mouth (typically 3 sprays twice a day), hold for 20 seconds and then swallow. 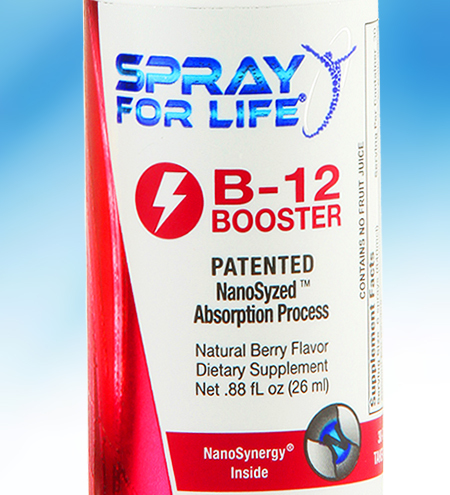 Our NanoSyzed™ formulas are great tasting and address the 40% of the population that have a difficulty swallowing pills, tablets and gel capsules. The superior benefits of our patented NanoSynergy® technology make a significant difference for our customers. 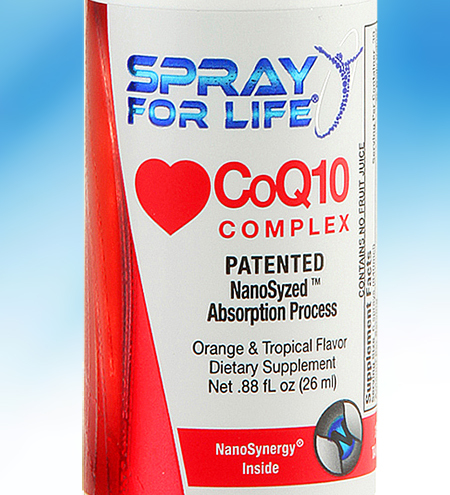 Our NanoMist® Spray supplements have shown they have more rapid, uniform and complete absorption than pills. The recent breakthroughs we have achieved with our unique NanoSynergy® technology have changed the supplement industry. Our proven NanoSyzed™ process creates vitamins and supplements with exceptional stability, longer shelf life and great taste ... that actually work. 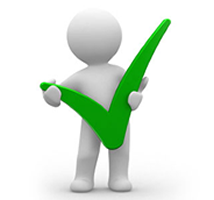 We manufacture our products for you in a “10,000 Class Cleanroom” rated processing facility, using the highest quality, premium grade ingredients. All of our Nano Supplements are natural and are free of synthetics, sugar, excipients (binders, fillers, wax, shellac, talcum, etc. ), salt, corn, wheat, yeast, milk derivatives, artificial preservatives, colors and flavors, animal gelatin, soy and peanut products as well as GMO's. 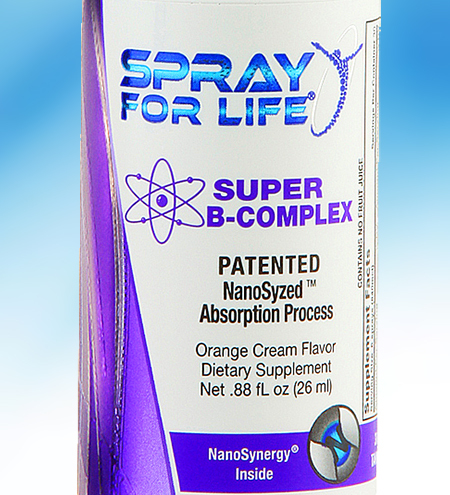 Superior Absorption: All SprayForLife® products utilize the most advanced Nanotechnology to ensure a dramatic increase in the bioavailability of nutrients, meaning nothing is lost. 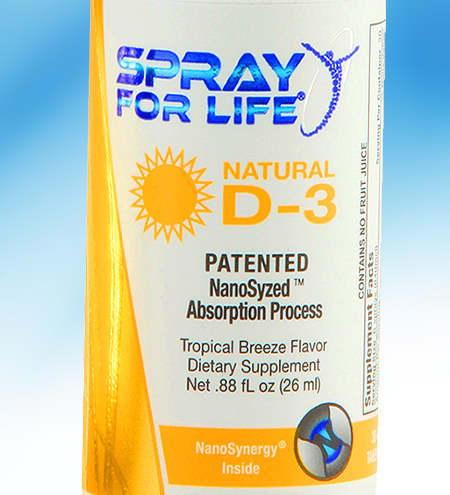 Small Doses: This innovative and Patent approved NanoSyzed™ process and delivery system, allows the nutrients to maintain its particle size as in nature, Nano or smaller, in water-soluble natural solutions. "Remember, Nature is Nano & Nano is Nature"™ . 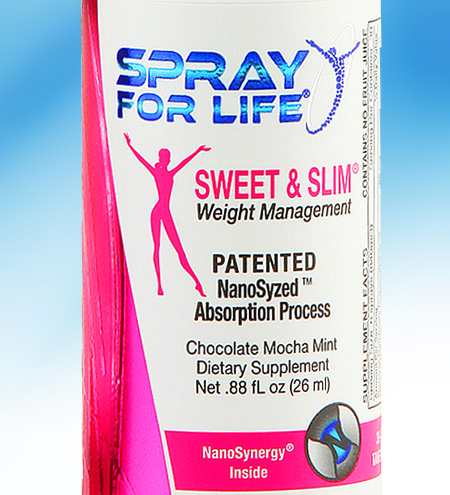 No More Pills: Our Spray For Life® NanoMist® liquid dietary supplements are great tasting alternatives for those consumers who prefer consuming liquids to taking pills, capsules or gelcaps. 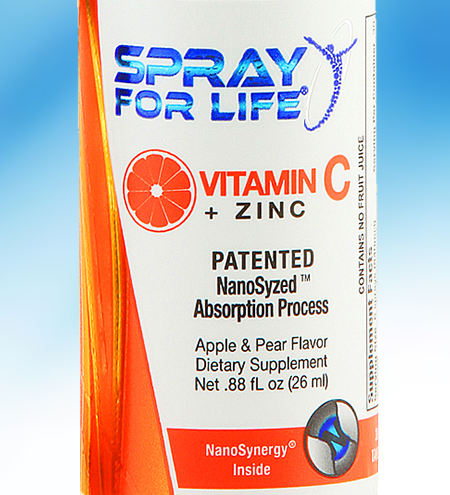 Rapid Results: Nutrients are available within a matter of minutes taking one of our great tasting, fast-acting sprays.